Rome is known for historic sites, sightseeing, religious sites, museums, and nightlife. Your plan includes some of its best attractions: delve into the distant past at Colosseum, admire the local landmark of Trevi Fountain, admire the landmark architecture of Pantheon, and don't miss a visit to Piazza Navona. For more things to do, where to stay, reviews, and more tourist information, you can read our Rome online itinerary creator. Singapore, Singapore to Rome is an approximately 16.5-hour combination of car and flight. Due to the time zone difference, you'll gain 7 hours traveling from Singapore to Rome. Traveling from Singapore in December, things will get cooler in Rome: highs are around 16°C and lows about 4°C. Wrap up your sightseeing by early afternoon on the 14th (Thu) to allow time for travel to Paris. Start off your visit on the 15th (Fri): admire the natural beauty at Palace of Versailles. On the 16th (Sat), you'll have a packed day of sightseeing: look for all kinds of wild species at Arboretum de la Vallee-aux-Loups, make a trip to France Miniature, then appreciate the extensive heritage of Grand Canal, and finally admire the striking features of The Trianons & The Hamlet. To find photos, traveler tips, maps, and tourist information, read our Versailles custom trip planner. Traveling by combination of train and flight from Rome to Versailles takes 5.5 hours. Alternatively, you can take a train; or drive. Traveling from Rome in December, expect nights in Versailles to be about the same, around 1°C, while days are slightly colder, around 7°C. Finish your sightseeing early on the 16th (Sat) so you can drive to Paris. Take a break from Paris with a short trip to Disneyland Park in Marne-la-Vallee, about 40 minutes away. There's lots more to do: admire the masterpieces at Louvre Museum, contemplate the long history of Arc de Triomphe, make a trip to Eiffel Tower, and take in the spiritual surroundings of Cathédrale Notre-Dame de Paris. To see where to stay, more things to do, maps, and other tourist information, use the Paris holiday planner. Paris is just a stone's throw from Versailles. 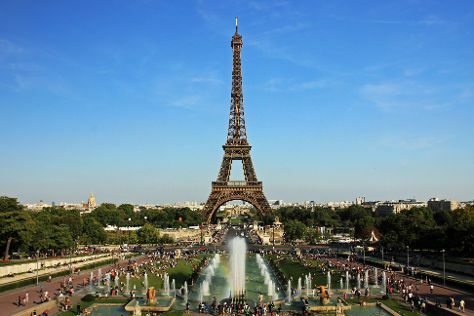 In December, daytime highs in Paris are 8°C, while nighttime lows are 1°C. Finish your sightseeing early on the 21st (Thu) to allow enough time to take a train to London. London is known for museums, nightlife, sightseeing, shopping, and historic sites. Your plan includes some of its best attractions: get a new perspective on nature at Natural History Museum, snap pictures at Tower Bridge, steep yourself in history at Tower of London, and get engrossed in the history at British Museum. For maps, reviews, more things to do, and other tourist information, you can read our London trip generator. Getting from Paris to London by train takes about 2.5 hours. Other options: do a combination of train and flight; or do a combination of car and train. The time zone difference when traveling from Paris to London is minus 1 hour. Expect a daytime high around 9°C in December, and nighttime lows around 4°C. Finish your sightseeing early on the 26th (Tue) to allow enough time to travel back home.